Then attend this information session at the SME Expo. The Malawi Energy Regulatory Authority MERA will hold an Information Session at the SME Expo on Friday 26th April, 2019 at Comesa Hall VIP lounge from 3:00 pm to 4:00 pm. The information session seeks to inform and increase potential investors awareness of the role and mandate with focus on promoting investment in rural service stations. 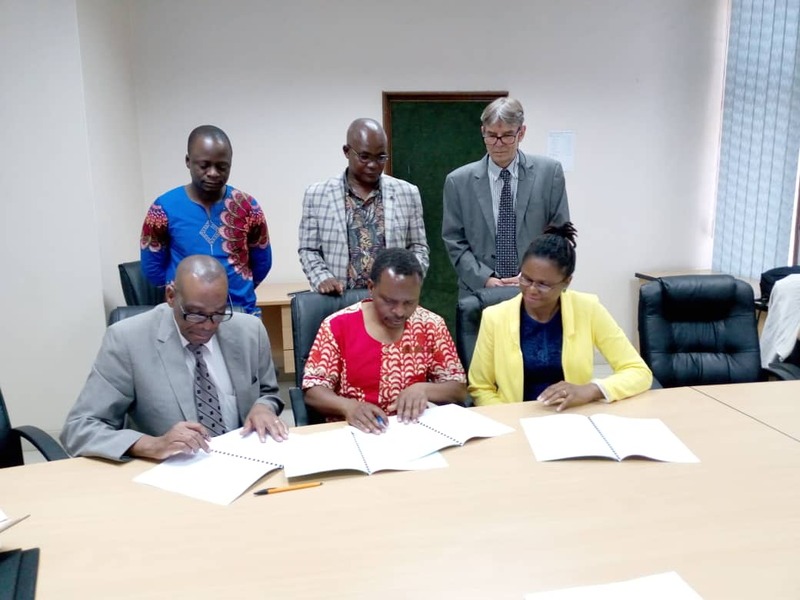 TEVETA, has established a Forum for Dialogue with private sector coordination organisations of MCCCI and ECAM called Public Private Sector Skills Development Forum. 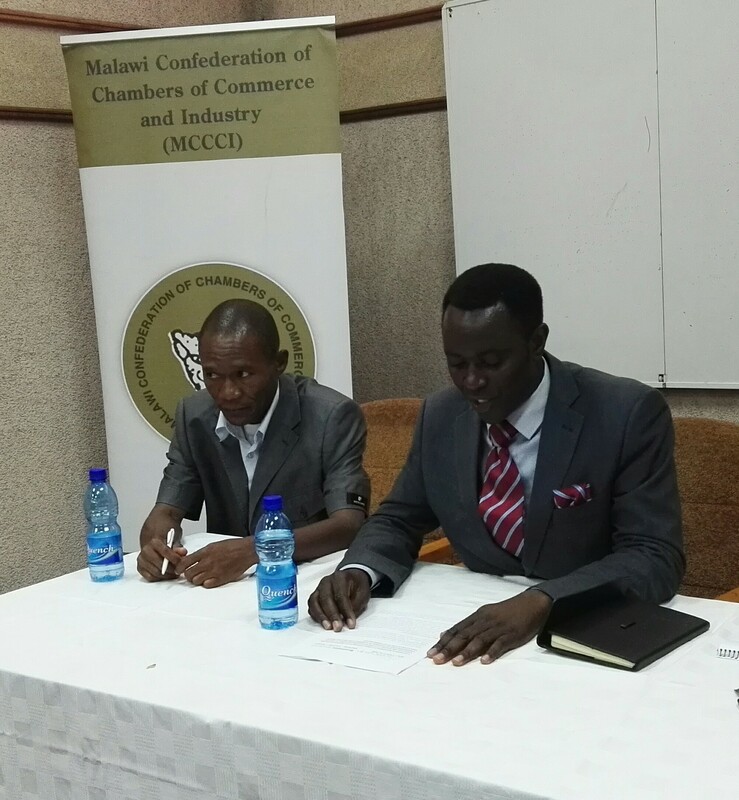 MCCCI signed a Memorandum of Understanding with TEVETA last week. The forum will be a platform for systematic and formal interface, dialogue and consultation through periodic meetings among the private sector. The forum will provide an interface and bring together a wide range of experts/representatives from the private sector and TEVET institutions to share information on skills development, fill the information gap between private sector, TEVET Authority and other public and private stakeholders. The outcomes for the forum are to create a regular dialogue between public and private sector and supporting a private sector oriented skills development, working relationships between private public companies. The forum will also see improvements of TPIs and TEVETA and support a more active participation in the organization, arrangement of the TEVET Authority and engagement of the private sector for qualitative vocational training. 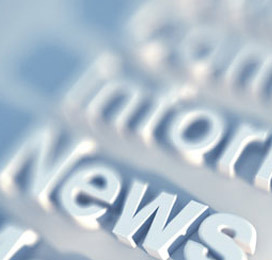 In line with promoting small businesses which are the economic drivers in many economies, The Malawi Confederation of Chambers of Commerce and Industry is introducing the SME Expo 2019. The trade event will be held from the 26th to the 28th April 2019 under the theme SME Growth through Business Linkages. The SME Expo is set to attract all – sector local and regional businesses, including SMEs, Corporates, financial service providers, business advisory service providers, business information providers, academic institutions and other institutions provide business development services. The event intends to bring a diverse spectrum of businesses as it brings solutions to the numerous challenges that SMEs face. The solutions are meant to bring about transformation of the #SMEbusinesses, hence “enhancing Growth”. Ever wanted to own a bank? The Reserve Bank of Malawi (RBM) is undergoing a process of developing a framework for the introduction of Community Banks serving a specific geographical location. Through community banks, the RBM aims to create economic empowerment to local entrepreneurs/investors as well as easier access to banking services for members in a specific community. Some of the proposed regulatory insights include an application fee of MK1.0 million and capital requirement of MK500M to MK1.0 billion. Restriction on deposit mobilization and lending to specific location to serve intended policy objective. RBM said only incorporated entities/companies will be licensed as community banks with risk management policies similar to banks but relaxed in terms of threshholds/quantum. The regulations demand normal MIS systems to be mandatory with almost all products/services offered by main stream commercial banks except investment banking, security brokerage and a few others. Proposed depositor protection include requirement to hold minimum liquidity ratio, debt financing not allowed as startup capital, caps on lending ratio subject to liquidity management practices and timely recognition and provisioning on bad debts. "Africa continent of the future"
Ghana’s Vice President Dr Muhamudu Bawumia says India and Africa should aspire for economic freedom. He said this when he addressed the 14th CII-Exim bank Conclave on India Africa Project Partnership. He said the India-Africa Partnership can create a new paradigm for South South cooperation adding that Africa is the continent of the future. In his keynote address, India’s Minster of Commerce and Industry Suresh Prabhu said India and Africa has the same problems and need to fight together. He said in the partnership, India does not want to benefit at the expense of Africa but would like to help Africa using specific country profile of priority areas. 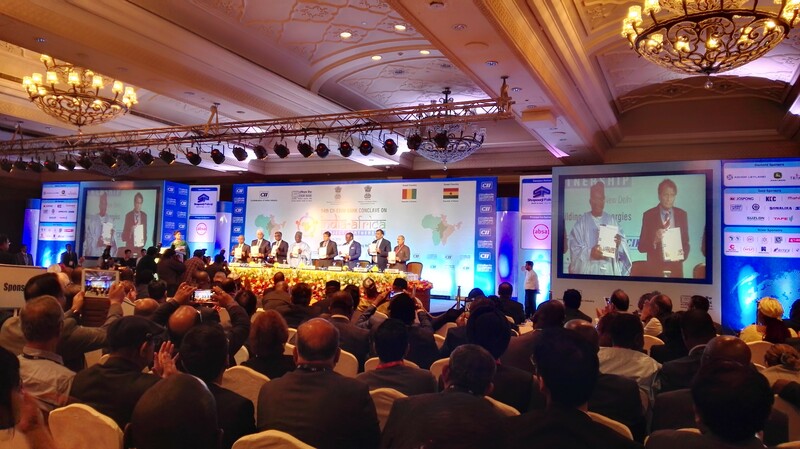 Confederation of Indian Industry (CII) has organized the 14th edition of CII-EXIM Bank Conclave on India - Africa Project Partnership, from 17 – 19 March 2019 in New Delhi, India. Over the last 13 editions, the conclave has proven to be a one stop shop that caters to the interests of both business and political stakeholders, alike. 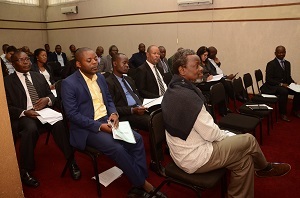 MCCCI has organised leadership and management trainings in Blantyre on the 7 and 8 March 2019 and in Mzuzu on 14 March 2019. Because the level of success an organization enjoys, hugely depends on the organizational leadership and its management style. Building effective leadership and managerial skills is critical to help you and your organization succeed. 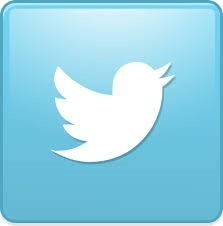 Organization attitude and behavior, work environment, conflict management, organizational structure, power and politics, culture and many other organizational aspects are all affected by the actions of leadership and management. This course looks at leadership from that perspective, and provides participants with an opportunity to gain a solid understanding of leadership and management in order for them to establish the right style of leadership to add immediate value to the organization and their staff. Designed for business leaders, the course, will equip participants with skills in: organizational behavior and leadership, leadership and managerial skills necessary for increasing organizational productivity, leadership and management styles from the context of teams, conflicts and decision making, the importance of leadership/management and its impact on organizational culture, managing groups and teams, Managing change, Motivation, Results orientation, Influencing other Conflict management.